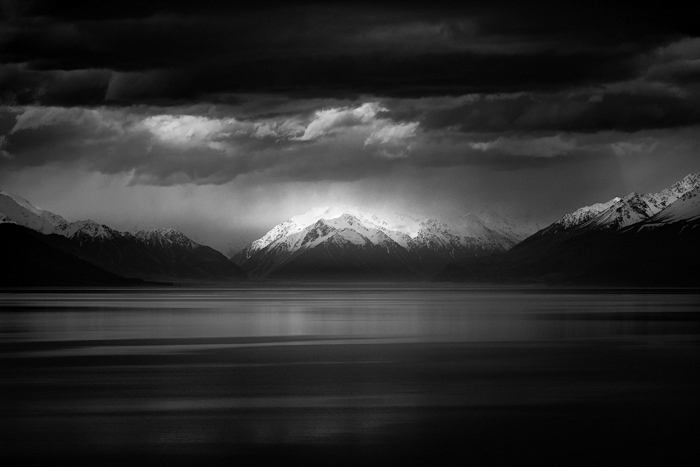 In the company of mountains… a westerly storm from the Tasman Sea slams into the Southern Alps of New Zealand. 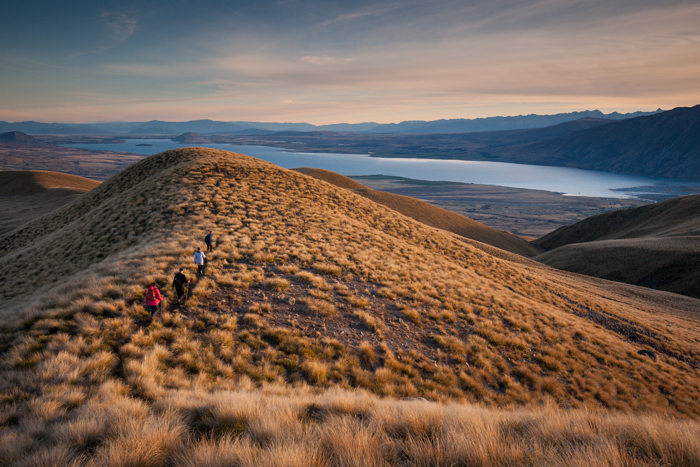 The view is looking towards the head of Lake Tekapo at Mount Mistake and the Godley River valley. 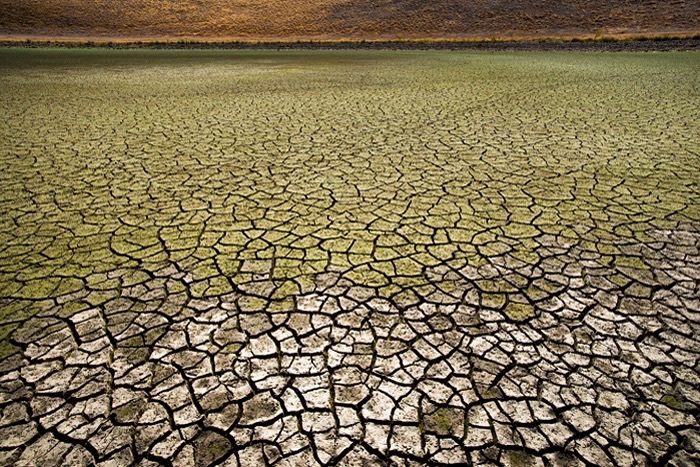 In the company of mountains… the drought continues with small tarns throughout the Lake Tekapo region yielding their last drops of water to the skies. Still, the clockwork cycle of the seasons ensures eternal ebb and flow prevails and the rain will return. 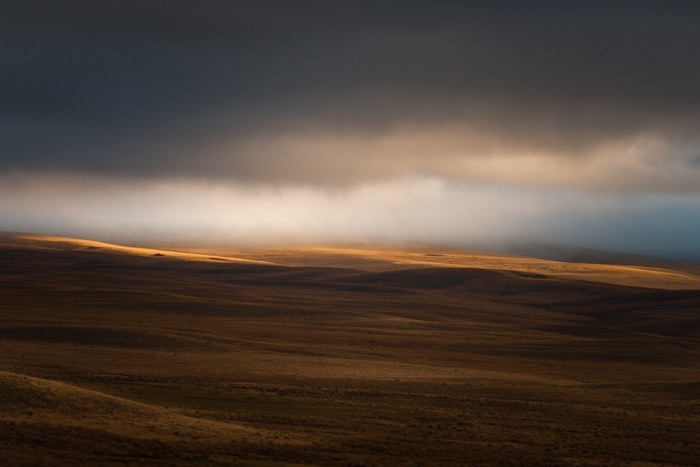 In the company of mountains… from our temporary shearers cottage home on Balmoral Station the play of light in the landscape is inspiring. Early morning mist, the contours of the land and the first rays of sunlight create the time for us to just stop and contemplate. 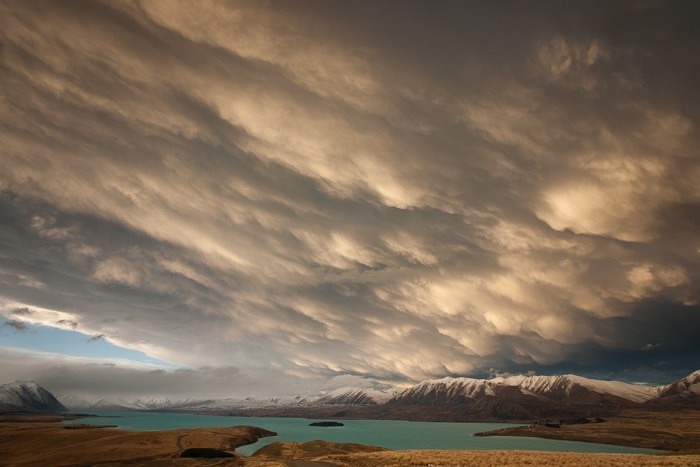 In the company of mountains… dramatic lighting and composition created by the cloud of a westerly front as it sweeps across Lake Tekapo in New Zealand. 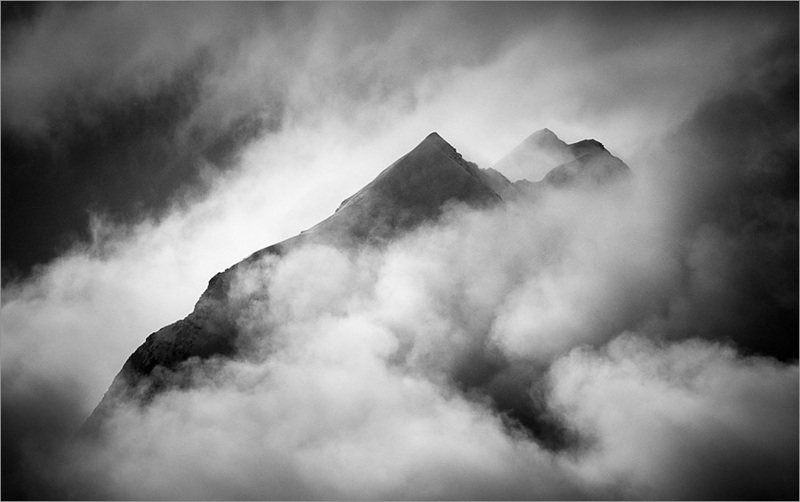 In the company of mountains… Aoraki-Mount Cook brooding under the cover of cloud. My place, my inspiration… Aoraki/Mount Cook New Zealands highest mountain, at the head of Lake Pukaki in the centre of image… what I would have given to have the cloud base a few thousand feet higher… but then it wouldn’t live up to its name, affectionately known as Cloud Piercer. 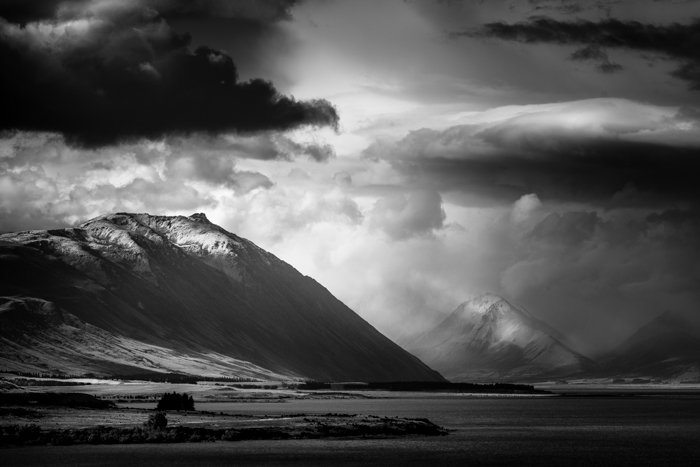 My place, my inspiration… time and place in the landscape create the spirit of Pukaki… or am I feeling the spirit of me? 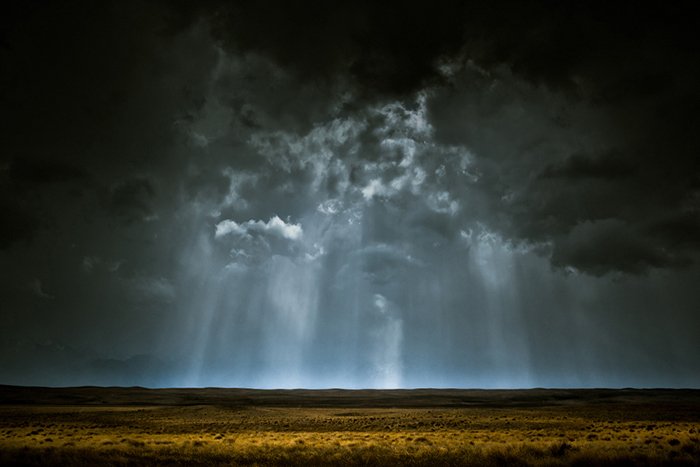 My place, my inspiration… yet again the storm and the light create compositions that leave me in awe. 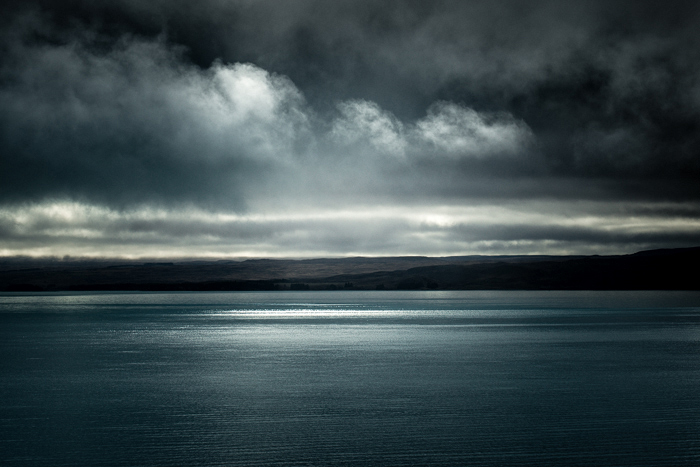 This is just one of many images on my manic journey along the Braemar road towards Lake Pukaki. The wind makes considered compositions impossible, everything in this place is fleeting. 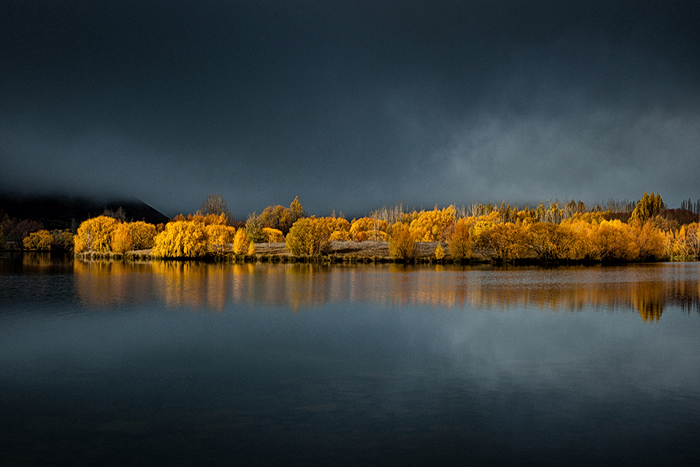 My place, my inspiration… and the change of colour at the Wairepo Arm near Twizel is a sign of scarcely any colour to come. My place, my inspiration… the story began 4.5 billion years ago, I understand that and is due to end in 5 billion years, I understand that… what I don’t understand is why I get to enjoy this nano second of a life in between… this thinking comes from sitting on a rock too long after climbing Snake Ridge at the head of Lake Tekapo.